If you’re a shipping partner with Federal Express or have a tight integration of FedEx shipping with your online shopping solution (Shopify, for example) then that should be a simple matter of some plug-and-play code or a plug-in you can install. In fact, you might already have it, you’ve just never enabled the feature! 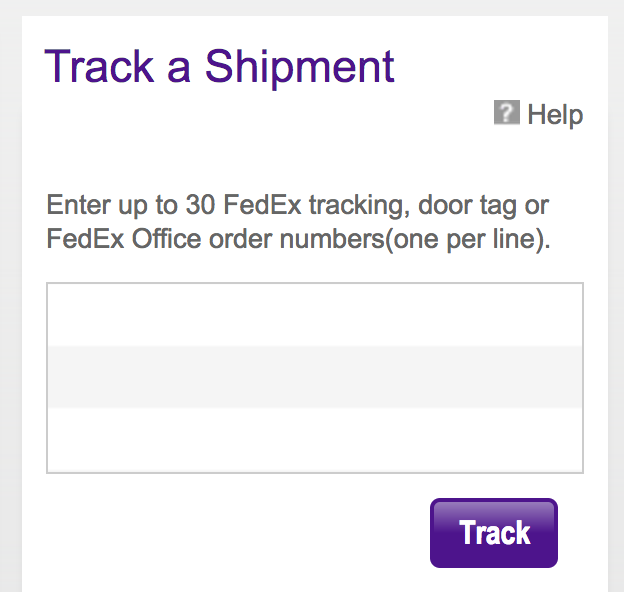 As always, to start head to the site and let’s understand what FedEx is doing when it tracks a package. To make this easier, you can copy and paste the tracking number 1111111111 which turns out to be an internal testing number. Neat, eh? But, ummm, let’s get back on track, shall we? Easily done, right? But let’s turn this into a form instead. In HTML there are two types of forms, “get” and “post”, the former being what produces URLs that have “?” followed by name=value pairs. Like what we have from FedEx! Try it with the 11111111111 tracking number, it works! Now there’s more you can do to make the form fancy, including a graphical button or rounding the edges of the input box to match your site design, but that’s the basic. Want to have the tracking page open up a new window in the browser? Add target=”_blank” to the FORM tag. Hello, this is helpful information but what I was looking for is something different. after reaching the fedex page on submit as you have done. I want to store the information in my database how can I accomplish that?